We are excited to announce that we have changed our school name to Montessori School of Durham. The school has been educating students since 1977 and has become much more than a "Children's House" (which describes a program for children 3-6 years old) since 1982 when the school's Elementary program began. In 2007, the school’s Toddler program began. 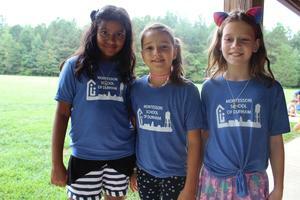 Montessori School of Durham ignites passion and curiosity for lifelong learning in students 18 months through 6th grade. 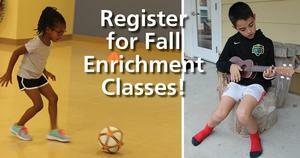 Explore the exciting After School Enrichment Class offerings and register by September 11th. Save the date for the All-School Fall Picnic at Little River Regional Park Picnic Shelter (301 Little River Park Way, Rougemont, NC 27572) on Sunday, September 9th from 3:30-5:30 p.m.
Little River Park has a playground, large field, and hiking/biking trails so bring bikes and balls. Come early and enjoy the park and trail. Please note, if 3:30 conflicts with nap time or other needs, families are welcome to arrive at any point during the picnic that best suits their children’s schedules. 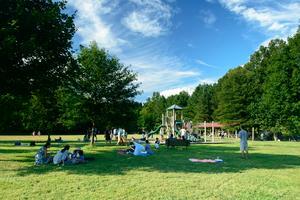 All items should be removed from the picnic area by 5:15 for clean-up and break down. 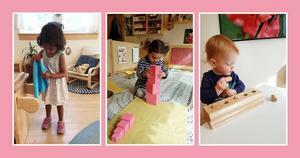 Explore a Montessori Children's House of Durham Toddler Classroom and learn more about a Montessori education. Join us for a Toddler Tour and Information Session (parents only) on Wednesday, July 18th from 3:30-4:30pm. The half-day or full-day toddler classes (for children ages 18 months to 3 years-old) are designed to develop language, cognitive and motor abilities. They focus on modeling social skills and graces, finding friendships, and instilling collaborative work while uniting the toddler's strong sense of independence with practical success. Now enrolling! If you are unable to attend during this session, please email natalie@mchdurham.org to schedule a personal tour. Learn more about our camp options! With options for children aged 3 -14, students will express creativity while refining artistic skills in art and pottery camps, design and animate mobile apps with local provider Stem4Kids, delve into the world of musical theater, learn all about cats, get creative in the kitchen, etc. Check out all of the options! Parents and/or caregivers are invited to the following year-end celebrations: Early Childhood and Kindergarten Watermelon Party (Friday, June 1st at 11:00 -11:45am on the Early Childhood playground); All-Day Toddler Lemonade Party (Friday, June 1st at 3:15-3:45pm in the all-day toddler classroom); 5-Day Toddler Lemonade Party (Friday, June 1st at 11:30am-12:00pm in the 5-day toddler classroom); 3-Day Toddler Lemonade Party (Thursday, May 31st at 11:30am-12:00pm in the 3-day toddler classroom); Elementary students are dismissed at 12:15 on the last day of school (Friday, June 1st) unless regularly enrolled in After School. Drop-in care is not available on the last day of school. All MCHD families are invited to the Upper Elementary student presentation night on Thursday, May 24th at 6:30 in the Multi-Purpose room. They will share about their Montessori Model United Nations trip to New York City, their humans closest relatives study, and their auto-biographies. They will also share some music they have been practicing. Join us as we celebrate the growth and achievements of these remarkable students. Join us for the MCHD Spring Picnic! The picnic is on Tuesday, May 15th from 5:30-7pm on the Early Childhood Playground. Bring dinner (and beverages) for your family and something to sit on (blankets or chairs). Rain date is Thursday, May 17th. Make plans to join current and future MCHD families for this cherished event. Shop the Scholastic Book Fair! The MCHD Scholastic Book Fair will continue through Thursday. 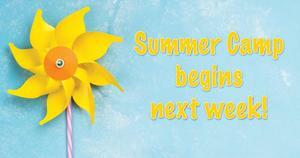 Stop by the Early Childhood building to shop from 11:45am-12:30pm, or 2:45-3:30pm this week. Parents, grandparents and other friends can also join in the fun by shopping MCHD's online book fair. Teachers have also been asked to provide their book wishlists so we can help stock their libraries with fresh materials. As you build your own library, also consider donating older books to our annual collection drive for Book Harvest. We have boxes for donations available at the book fair.